Christmas is SIX days away! I still have so much to do—a few last minute gifts are still needed and tons of wrapping has got to go down between now and then. So if you’re running a little in the eleventh hour like I am, here’s a gift guide you might like! If you’ve forgotten to pick up a little extra something for your mister, here are some awesome options that all ship free and will arrive before Christmas! Love this guide!! Only wish it would have come in like … November! My mom NEVER knows what to get my brother and he would have liked every single thing on this list. I need to keep this in mind for her (& him) for next year! 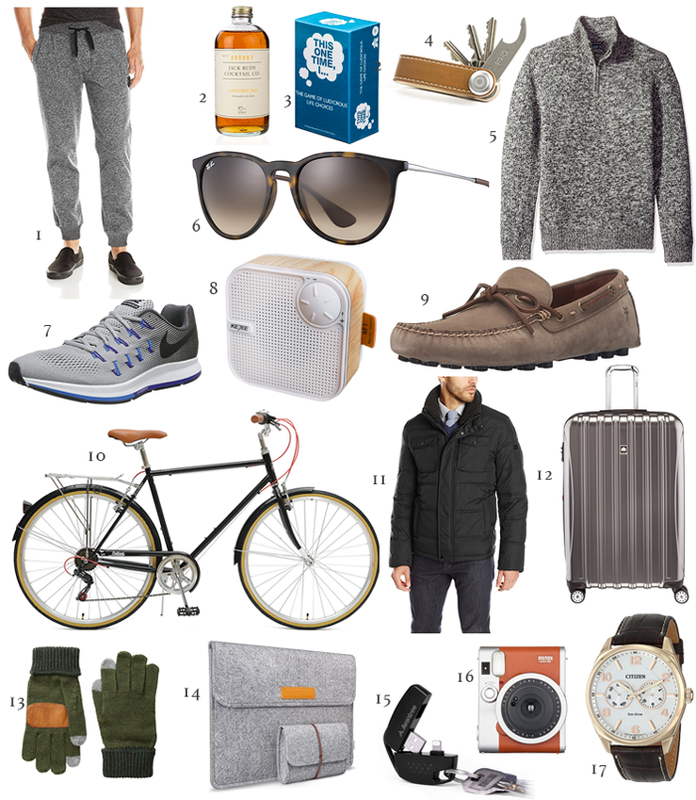 This is actually the BEST gift guide for men that I have ever seen. I would buy my husband everything on this list!! Thank you for sharing it!